← Could the Children’s Book Market Sink like a Lead Balloon? 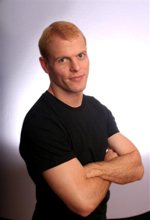 Tim Ferris wrote his highly popular book, “The 4 Hour Workweek, about how to become one of the NR (the New Rich), back in 2006. But rather than relying on his or his publisher’s intuition about a catchy book title, he decided to test it with the public instead. He tested multiple titles using the Google AdWords serach marketing tool and used the winning title for his book. He placed Adwords text ads, varied the titles, and chose the title with the highest click-thru rate. He admits “The 4 Hour Workweek,” wasn’t his favorite, but understood that it had strong audience appeal. His potential audience decided his title, which is now also his brand. It seems to me that Google AdWords could readily be used for other such experiments: it’s cheap, it’s simple to target your experiment based on keywords so that you can choose the type of people exposed to the experiment and by setting up random display of a set of ads you can try out variations of an idea easily. Obviously book titles are just one possibility. What other things could be tested using Google AdWords? Open a Google AdWords account and set up your campaign. Before starting, I highly recommend spending some time in the Google AdWords Learning Center to get familiar with the many features of AdWords. Set up an ad group that consists of groups of appropriate keywords based on your keyword research. Google provides robust keyword research tools which can indicate search volume over specified time periods and suggest related keywords. This research is valuable in and of itself for learning more about the needs and desires of your audience, as well as discovering new audience segments. The headline of each ad should be the prospective book title. The other two lines of text are devoted to messages appropriate for the subtitle fo the book. Once you have completed these tasks, Google will provide you with total impressions and click-through-rates for each ad. Total impressions relates to how many individuals were exposed to your ad; click-through-rate (CTR) indicates the percentage of individuals who actually click on the ad. A good click-through-score indicates that your title somehow engaged people who were searching for information related to the keywords in your ad group. Test for a few weeks and then select the title that achieves the high CTR. The cost of a campaign is directly related to the cost-per-click (CPC) and the total number of clicks for each of your ads. Your CPC is influenced by the maximum cost per click you specify when setting up your ad groups, the competitiveness of the keywords you are using and your ad’s quality score. Quality score is determined by the relevance of your ad to the keywords and the content o the landing page. The total number of clicks will be driven by how compelling your ad copy is, as well as the position of the ad in search results pages. You can control your ad spend by giving Google a maximum daily budget to work with. The use of search marketing tools like Google AdWords to test book titles and marketing messages is that you get objective data to back up yours or your publisher’s intuition about what is “sticky” and what is not. The relatively small cost of this testing can have a big payoff in increased book sales. No doubt this data willl hold some surprises for publishers and authors who have relied on “gut instinct” when it comes to coming up with book titles. This entry was posted in author tools, book marketing, open publishing, readership strategies and tagged Google AdWords, split-testing, test book title, The 4 Hour Workweek, Tim Ferris. Bookmark the permalink. This is something that we’re testing now. We have three working titles. Excited to see this in action. I do agree with you on this! This post is really interesting. I actually learned a lot of things about testing book titles with google adwords here. Thanks a lot for sharing this post. I truly enjoyed reading it. The Myth of "The 4-Hour Workweek"
Quick question! When you set up an adwords account to test your book titles, what landing page do you direct people to? And what do you say in the ads? You should create one page for each title you want to test. You might show a title, sub-title, description and cover art. The only thing you want to change between each landing page is the title. The description should be something similar to what you would put on Amazon.